And John Betancur, Susan E. Clarke, Marilyn Dantico, Martin Horak, Karen Mossberger, Juliet Musso, Jefferey M. Sellers, Ellen Shiau, Harold Wolman, and Donn Worgs. For decades, North American cities racked by deindustrialization and population loss have followed one primary path in their attempts at revitalization: a focus on economic growth in downtown and business areas. Neighborhoods, meanwhile, have often been left severely underserved. There are, however, signs of change. This collection of studies by a distinguished group of political scientists and urban planning scholars offers a rich analysis of the scope, potential, and ramifications of a shift still in progress. Focusing on neighborhoods in six cities—Baltimore, Chicago, Denver, Los Angeles, Phoenix, and Toronto—the authors show how key players, including politicians and philanthropic organizations, are beginning to see economic growth and neighborhood improvement as complementary goals. The heads of universities and hospitals in central locations also find themselves facing newly defined realities, adding to the fluidity of a new political landscape even as structural inequalities exert a continuing influence. While not denying the hurdles that community revitalization still faces, the contributors ultimately put forth a strong case that a more hospitable local milieu can be created for making neighborhood policy. In examining the course of experiences from an earlier period of redevelopment to the present postindustrial city, this book opens a window on a complex process of political change and possibility for reform. 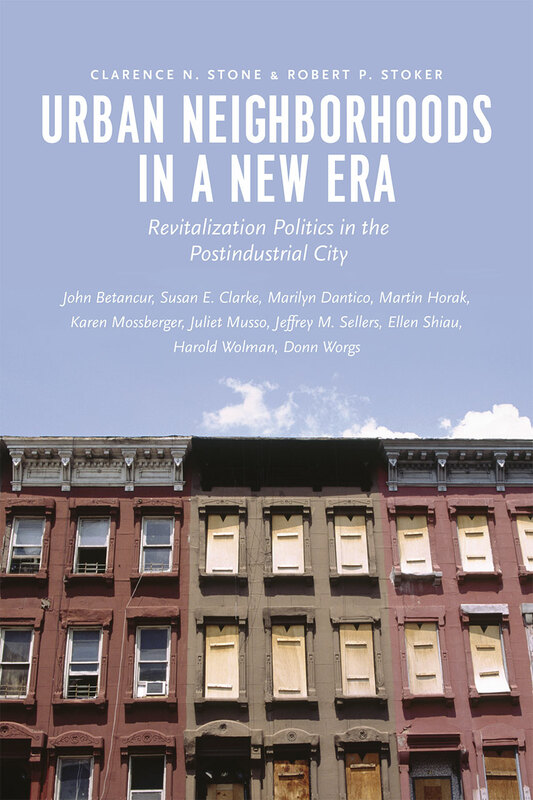 "An excellent collection of research essays on the changing fortunes of urban neighborhoods, and the approaches cities have developed to support them, over the last several decades. The volume includes outstanding and up-to-date interpretative analysis of both the politics and the policy process in one Canadian and five American cities. Altogether, the book represents a new standard in comparative urban studies for North America." "Given that much previous work in urban politics concentrated on policy actions targeting the CBD to analyze power configurations in cities, a book investigating urban power through the lens of neighborhood politics is definitely to be welcomed and will probably become a landmark in the field. The six case studies (chapters 3 to 8) are impressively well-documented and insightfully combine a citywide historical perspective on the increasing political attention granted to neighborhoods with specific foci on how revitalization initiatives were concretely implemented in some distressed neighborhoods."